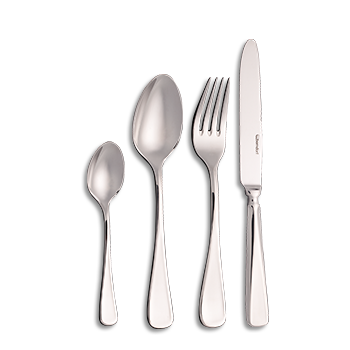 Gleaming elegance, sophisticated ergonomics. A striking design yet unobtrusively simple. No corners or edges. In line with 160 years of tradition, pieces are available for children in the classic Royal Solitude range. Any dinner table graced with Royal Solitude will shine harmoniously.